Santa Clara, CA - Milestone Internet Marketing, Inc. announced today an expanded product offering for Social Media and Web 2.0 strategies for hotels and resorts. The expanded offering will enable hotels to take advantage of up and coming trends in internet marketing and stay ahead of the competition. Milestone's mobile websites are optimized for fast download time, ease of navigation, and offer key content for easy browsing on a mobile phone screen. The websites have easy, single-click access to directions, reservation contact number, and dining information. 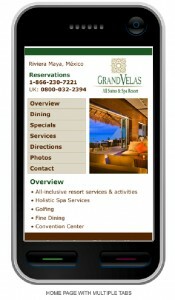 Consumers are automatically directed to the mobile website when the hotel website is accessed from a mobile phone. 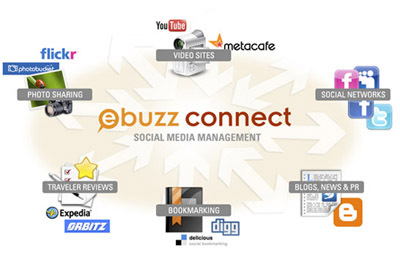 Milestone continues to add more features and capabilities to eBuzz ConnectTM - Social Media Tracking and Management tool that was launched at Hitec 2009. The tool allows hotels, brands, and restaurants to monitor and manage their online reputation from an integrated single interface. The tool tracks hotel's presence in different social media channels such as photo-sharing sites, online video sharing sites, blogs, and user generated content sites such as Trip Advisor and Yelp. In addition to Social Media Channels, eBuzz ConnectTM also monitors Online Travel Agency channels such as Expedia, Travelocity, and Hotels.com. The product continues to gain momentum and market traction with several customers signed up for the program. Some of the unique features available in the latest release of the software include ability to track specific keywords, most-mentioned positive and negative keywords in the reviews, hotel's top reviewers, hotel's most popular blog channels, and ability to prioritize comments and reviews based on the significance of the channel. Hotels can segment the reviews by department which makes responding to reviews easier. The tool gives actionable reports that hotels can use to enhance their marketing efforts and drive additional revenue. To learn more about using Web2.0 strategies for hotels, or to learn more about Milestone's Web2.0 and Social Media services, please visit www.milestoneinternet.com or email [email protected] or call (888) 350-8396.